Uneven sidewalks are hazardous for older or disabled pedestrians. These are one of the obstacles to outdoor walking for exercise explored in a recent study. It sounds simple: get outside and take a walk. Walking on its own is known to offer numerous health benefits, everything from lower blood pressure to less aches and pains. For some people, though, getting outside and taking that walk can be a challenge. This is especially true for the elderly or those with disabilities. How will I get to my destination? Is it a safe place to walk? Are there street lights? Will sidewalk cracks make it harder for my walker to roll? The report covers study findings from the University of Washington schools of nursing and public health. The work was led by Basia Belza, professor of biobehavioral nursing and health systems, and Dori Rosenberg, a postdoctoral fellow in rehabilitation medicine and an affiliate assistant professor of health services, based at Group Health Research Institute. Their research team sought to better understand the needs of adults with mobility disabilities related to neighborhood walkability. The investigators interviewed older adults with mobility disabilities about their experiences and impressions of trying to get about in built environments – the settings in which human activities take place. 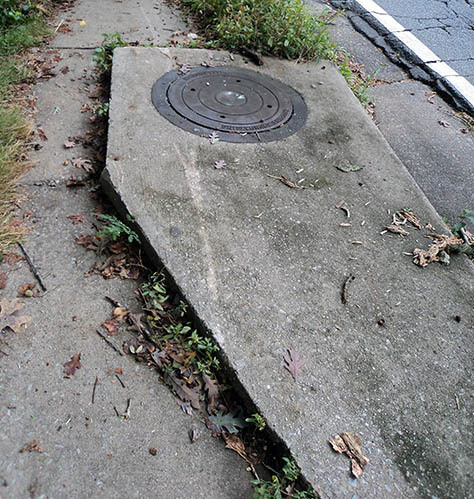 The researchers learned that poorly lit neighborhoods, lack of public transportation, sidewalks in disrepair, and unmarked or poorly marked intersections prevent people with disabilities from taking advantage of the benefits of walking. Belza said that older adults, who are the fastest growing demographic, are also the most physically inactive group and the age group most likely to face chronic disease due to inactivity. Belza noted that one study participant who lives in the Phinney Ridge neighborhood of Seattle has already approached the Seattle City Council to ask for neighborhood improvements. In another related project, Belza partnered with an Easter Seals project, called Accessible Community Transportation in Our Nation, and the Centers for Disease Control and Prevention Healthy Aging Research Network to create a Neighborhood Wayfinding Pocket Guide. This guide was designed to show people ways to check out their neighborhoods and assess the state of sidewalks, transportation, street lights and other factors that could encourage or discourage neighborhood walking. 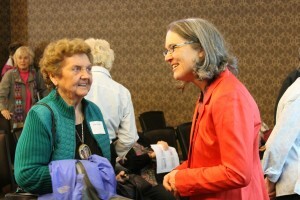 A talk UW nursing professor Basia Belza gave at Aljoya Thornton Place April 30 encouraged older adults to get active. “The guide is a great way for people to get out in their neighborhoods and learn to be more active in general while also helping others,” Belza said. The guide encourages people to consult with their city and town governments to share ideas for improvement, with the hope that this will encourage cities to invest more in communities. 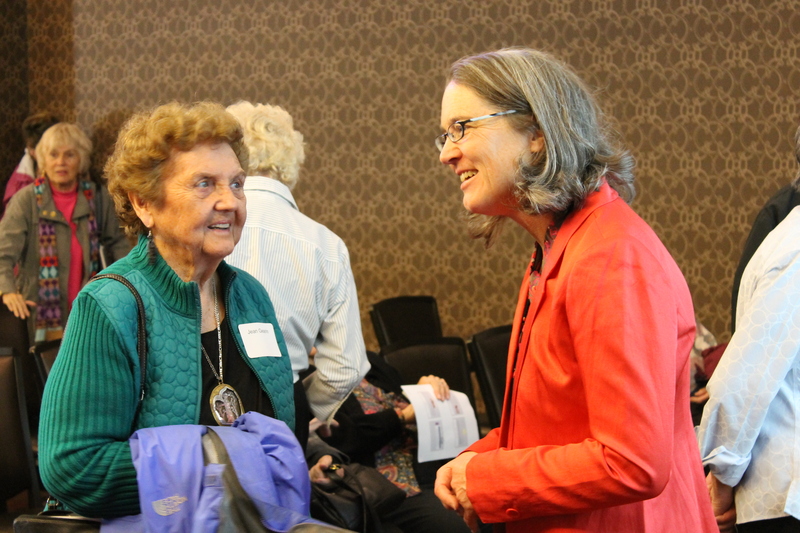 Belza continues to look for ways to improve access to the built environment and increase physical activity in older adults. She and her colleagues in the Centers for Disease Control and Prevention Healthy Aging Network are doing a systematic review to better understand how older adults use technology to find their way. Belza believes that with improved information and resources, older adults who have mobility disabilities will reap the benefits of walking, which has long been reported by adults as the most preferred way to be physically active and applauded by health experts as one of the best ways to improve overall health. The project was funded by the UW Health Promotion Research Center, a CDC Prevention Research Center. Download a wayfinding guide and supplement.